A collection of selected editorial illustrations, created for Il Corriere Della Sera - Milano. Illustration for Corriere Motori's coverage of the 2016 Paris Auto Salon, which examines cutting-edge electric and tech-run vehicles. 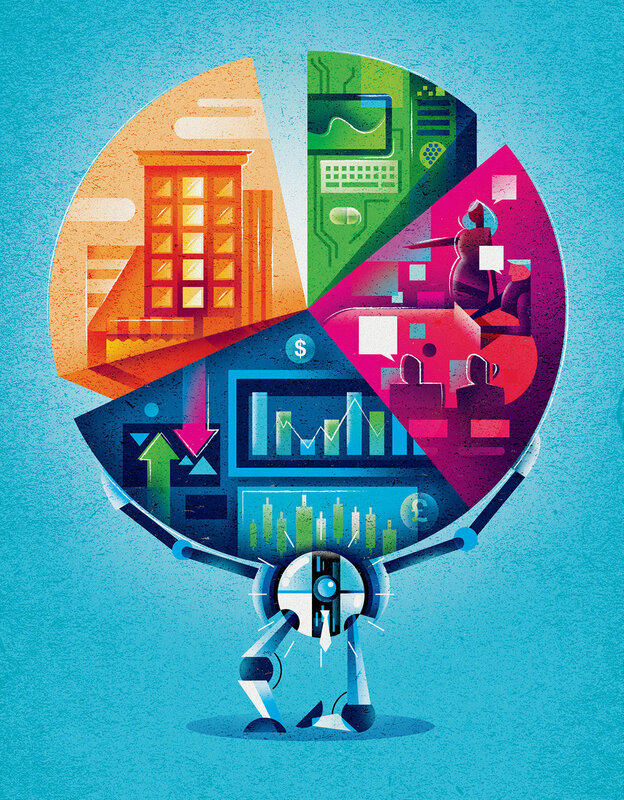 Illustration for an article discussing the pros and cons of robots (computers) managing business assets. 'Eternal lovers, new couples who are formed after the breakup of marriages or sexual relationships turned into friendship: how has the triangle changed?' The New Betrayal - an editorial discussing the increasing tendency of couples to accept infidelity in their relationships.